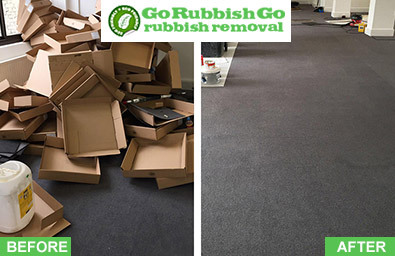 Go Rubbish Go is your one-stop shop for all Brent Cross waste removal services you may find yourself in need of. 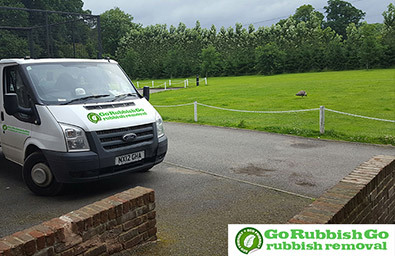 We have been serving the local community in NW2 and NW4 with superior quality rubbish removal solutions for almost fifteen years now and we have earned our reputation as the go-to company to have your waste issues resolved thanks to our hard work and our incredible dedication to our trade. We can help you too free your property and life from waste – just contact us on 020 8610 9182 at your convenience to reserve your appointment and get your free consultation and quote. You may think it would be impossible to get a high standard rubbish removal in Brent Cross, NW2 at a price within your means, but we’ll prove you wrong! Don’t believe us? Call us on 020 8610 9182 and talk to an expert, tell us what you need to get cleared from your domestic or commercial property and we’ll customise a solution to fit your need to the T, and that too at a price you could afford without a problem. We don’t bind you into inflexible and overpriced deals that include waste clearance in NW2, Brent Cross you don’t require – you’ll pay only for what you receive, simple as that! Book today to save even more with one of our special deals! Why Should You Choose Our Waste Removal in Brent Cross? We offer you a unique combination of highly efficient NW2 rubbish disposal services, backed by long years of experience and teams trained in the latest trends and standards within the industry, and an amazingly pocket-friendly price. There is no other service provider operating in NW4 or nearby that can give you such lucrative deals, such an extensive range of services and such high value for money as we can. 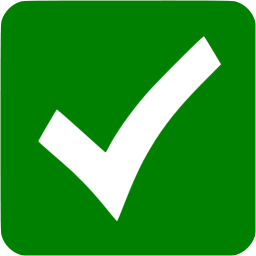 And we don’t stop at that – when you hire us, you can be certain that the rubbish clearance Brent Cross, NW2 you receive will be compliant with all governmental regulations for safe handling and disposal of waste and your rubbish won’t be harming the environment in any way. I’m very pleased with their rubbish removal services in Brent Cross – it took them a very short time to clear out my garage in NW2 and I was assured that everything that could be recycled would be sent to a recycling depot. Splendid work! You can now have the waste that’s been troubling you and taking up space at your property in NW2 gone by the end of the day. Yes, you read that right! If you call us today, we can send you a skilled rubbish removal team by the end of the day to collect all your junk items and waste. Our same-day waste disposal NW2 service is incredibly convenient as it saves you time and provides you with a quick solution to getting rid of any kind of rubbish that may be lying around your home, garage, loft, office, cellar or garden in Brent Cross. Ring us up on 020 8610 9182 to get immediate results and lots of free space! You don’t have to toil over your rubbish and clutter in NW2 anymore! 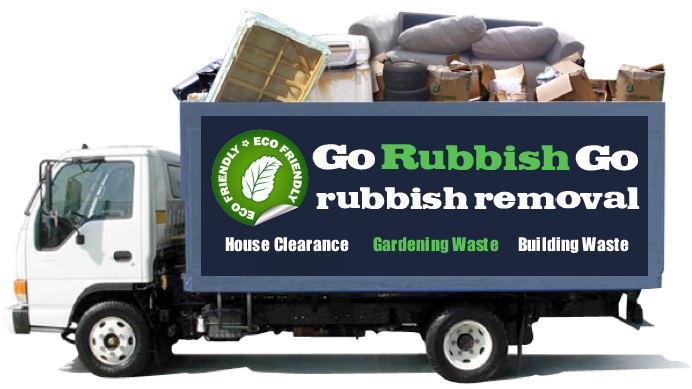 Go Rubbish Go is here to lift a huge weight off your shoulders and handle waste collection in NW2 for you in the most professional and effective manner. You won’t have to lift any heavy old furniture or boxes of junk, you won’t have to wonder how to go down the steep and narrow stairs to your loft, you won’t have to even get your hands dirty! Our rubbish removal services are the best answer to all your problems and the best bit is that hiring us won’t cost you an arm and a leg either. 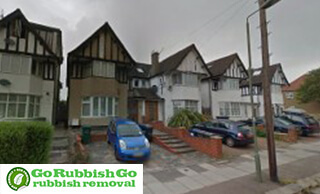 Call 020 8610 9182 now and say goodbye to your rubbish for good! Located in North London, in the Borough of Barnet, Brent Cross is a bustling retail and residential district. The River Brent flows through the area and some of its neighbours are Cricklewood, Hendon, Golders Green and Colindale. Perhaps the most notable local attraction is the Brent Cross Shopping Centre that first opened its doors in 1976 and has the impressive 8000 parking spaces. In fact, Tomorrow Never Dies, a movie from the James Bond series, was shot at this car park. There are plans for redevelopment of the Brent Cross Cricklewood area which will include many homes, parks, offices and transport improvements. Currently, the area is served by London Underground via Hendon Central and Brent Cross stations, in addition to thirteen bus routes.